The sign of a successful flea season? Making it through without spotting a single four-legged enemy in your home or on your pet. 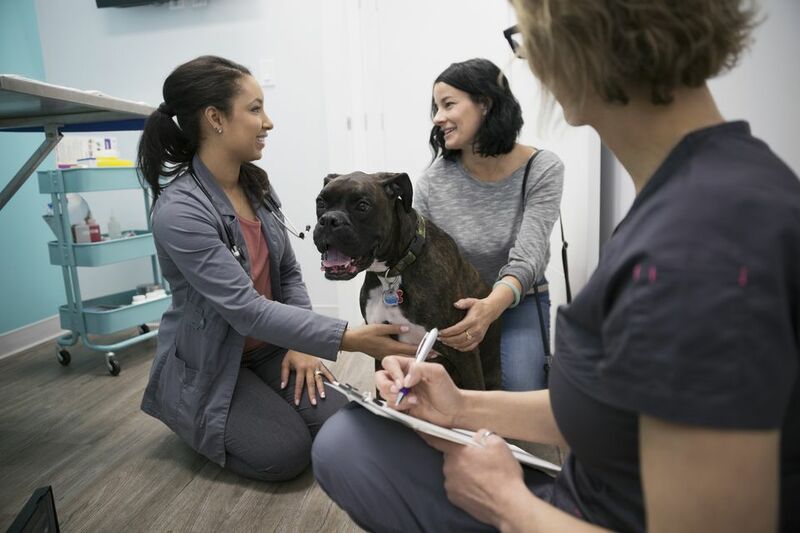 There are plenty of flea and tick prevention products that are specifically designed to treat fleas in cats and fleas in dogs, but even if a flea doesn’t decide to make a home in their fur they can track these pests into your home. Dealing with fleas in the home can be a time-consuming process, but not impossible once you have the right products. Whether you’re already facing a complete infestation or you want to take preventative measures, we rounded up the best home flea treatments that you can buy. The right treatment will save your sanity and provide relief if your beloved pet accidentally brings a few hitchhikers home. When it comes to flea treatments, you don't want something that is mediocre. Our top pick for an effective home flea treatment is the Enforcer Flea Spray. This 128-ounce spray jug is perfect for attacking any infestation, big or small. It kills adult fleas, eggs, and larvae, and can reach into carpet fibers, between floor crevices, through upholstery and into the folds of curtains and drapes. Basically any place a flea can reach, Enforcer can too. The active ingredients in this spray can also prevent new flea growth for up to seven months after spraying. 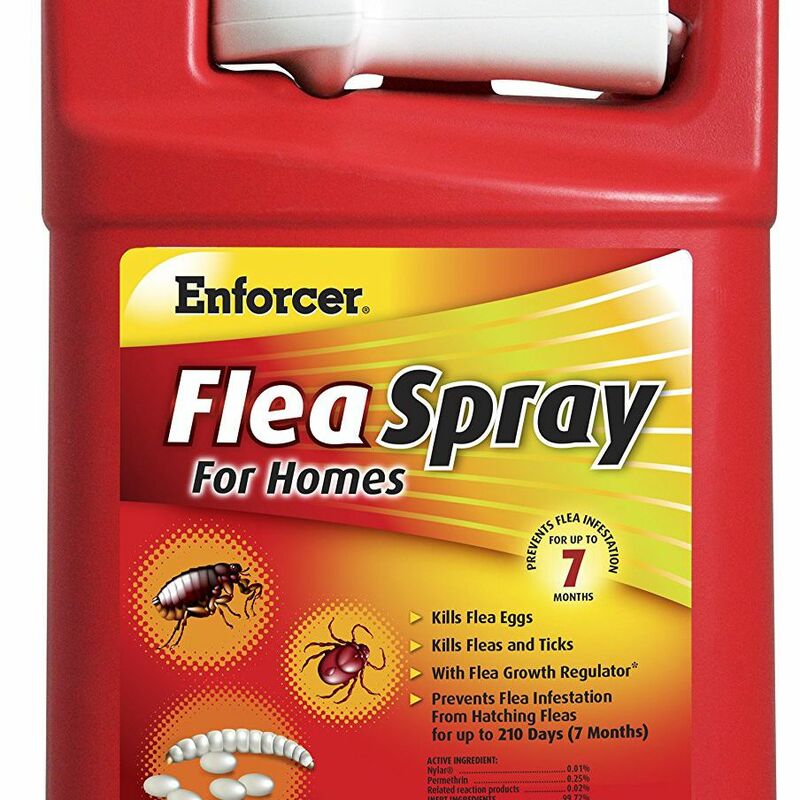 An effective product, fleas die on contact or when they cross the poison, so the Enforcer Flea Spray works even after you’ve sprayed. If you want a powerful and affordable flea killer, this is it. If your home is heavily carpeted, a flea treatment powder may work better for you. The Adams Flea & Tick Carpet kills fleas at all four stages of the life cycle: adults, eggs, larvae and pupae. Each container provides 16 ounces of product, enough for up to two rooms or 400 square feet. The active ingredient, Nylar, is an insect growth regulator and can control reinfestation for up to one year. The powder can be effectively used on either furniture or carpets. After sprinkled on the problem area, it can be left for at least one hour (up to 24 hours for difficult infestations) and then vacuumed up. Owners say Adams Carpet Powder is an effective way to rid stubborn flea infestations in carpets and rugs. It does leave behind a fairly strong citrus scent, but most reviewers say it’s a pleasant smell. Though sometimes not as effective as spray or powder, a flea fogger can be a quick and easy way to get rid of an infestation in a specific room. Each can is formulated to target fleas, eggs, larvae, and ticks, as well as other household pests such as lice, cockroaches, and ants. One can can treat a room up to 16’ x 16’, or 2,000 cubic feet of unobstructed space. Once the fogger is started, you and your pets must leave the room for two hours while it works. Not only is it formulated to kill fleas, but it also protects against future infestations for up to seven months. Though foggers have some disadvantages, especially when it comes to dealing with fleas in tight crevices or thick carpet, many reviewers say the Advantage fogger works fast and without a lot of effort to target flea infestations in every room. One of the biggest benefits of using a spray is that you can target the solution directly at the problem, reaching into cracks, under carpets, and more. The Vet's Best Flea and Tick Home Spray can target fleas not only in your house, but also on your pet. Derived from peppermint oil and eugenol, the Vet’s Best spray works to kill fleas and eggs on contact without the messy, smelly chemicals found in other brands. It is safe for dogs over 12 weeks, and can be used on nearly any surface in your home (but the company does recommend a spot test to avoid any staining). Overall, although Vet’s Best is better for on-contact elimination vs. preventive, it’s a great way to target every flea hiding in your home. The Wondercide Natural Flea & Tick Control is a spray that’s safe for both your home and its residents (human and pet alike). Made from cedarwood oil, Wondercide kills fleas at all stages of the lifecycle, so you don’t have to worry about future hatchings. Because it’s made from natural ingredients, it’s safe around puppies, kittens, and senior pets. It leaves behind a fresh lemongrass scent and is better for killing on contact than for preventing future infestations. The company recommends using Wondercide in conjunction with a preventative for your yard. If you want to tackle an infestation naturally without the harmful residue, Wondercide is a great choice. A flea trap can be a great alternative to sprays or powders if you want to catch and prevent future flea infestations. The Victor Ultimate Flea Trap features a sticky disc that traps fleas after luring them with a scent they can’t resist. The company boasts a 93% trap rate, which is very good for a passive method. The trap itself is odorless to humans and can be placed in any inconspicuous place. It can work up to 30 feet, but if you have a bad infestation throughout the house we’d recommend multiple traps. Owners say the Victor trap caught not only fleas but ticks and other pests as well. Most say it works effectively as a passive preventative or monitoring treatment rather than as a treatment for a full-fledged infestation, but it’s an easy and affordable way to keep fleas at bay without a lot of work. If your pet is treated, a flea infestations can still creep into your house from your yard. This means it is essential to protect the outside as well as the inside. The Advantage Yard Premise Spray is an effective way to attack fleas and ticks on grass, bushes, plants, and decks. The 32-ounce jug easily attaches to a garden hose for fast application, and one bottle can treat up to 16,000 square feet. For best results, spray monthly as part of a holistic flea management plan. Reviewers love the Advantage Yard Spray for both monthly maintenance and attacking large infestations. They say it’s easy to use and fast to kill, while still being safe around outdoor pets. If you have a large backyard, an outdoor treatment is a must when it comes to curing an infestation. Diatomaceous Earth Food Grade gets a lot of praise on the internet for its multiple uses, and flea prevention is just one of them. This fine powder made from fossilized diatoms can be used to do everything from keeping dog food fresh to acting as a natural deodorizer for your pets. When it comes to flea control, many buyers report that it works even better than chemical-laden counterparts. It can be sprinkled on furniture and carpets and vacuumed up, killing fleas and leaving behind a residue that prevents future infestations. It can be used indoors or outside, making it an incredibly versatile flea product. Proven to be effective, Diatomaceous Earth is safe around pets and humans and can last for weeks after application. Our writers spent 5 hours researching the most popular home flea treatments on the market. Before making their final recommendations, they considered 12 different treatments overall, screened options from 6 different brands and manufacturers, read over 100 user reviews (both positive and negative), and tested 1 of the treatments themselves. All of this research adds up to recommendations you can trust.